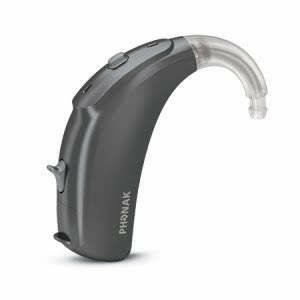 Phonak is a hearing aid manufacturer that is well known for it's outstanding solutions for severe and profound hearing loss. The Naida V, which is their latest addition, looks like it will continue and build on that legacy. 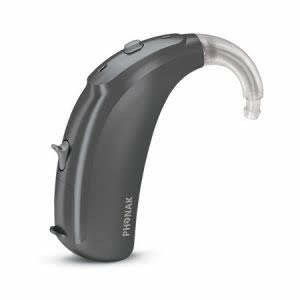 Phonak have just launched the latest addition to their now famous Naida range. The new Naida V was launched at an event I attended in Dublin last Thursday. The devices are based on the Venture chipset and will bring all of the benefits of that new platform to people with severe and profound hearing loss. The range which will be released on May 1st will be available in four levels of technology which include the V90, V70, V50 and V30. 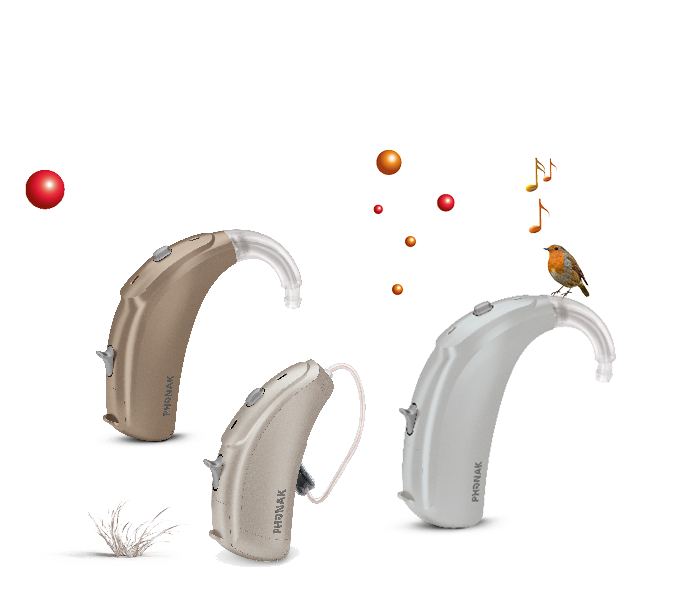 The new range brings newly designed hearing aid styles with much smaller and more powerful devices than available in the older Naida Quest range. It also packs in some great updated features with new strategies to deliver as much sound information as possible. The Naida V RIC (Receiver in Canal) offers fantastic power in a small package, it will deliver outstanding benefits for people with mild to severe hearing losses. The device comes with three possible receiver options, the XS, the XP and the newly designed X UP (for Ultra Power). With the introduction of a new style X UP receiver, the hearing aid will cover a hearing loss down to a flat 100 dB. This means that even people with a severe hearing loss can avail of a very discreet solution without compromise in power or functionality. However, these are RIC hearing devices and will need extra care and attention. You will need to follow a daily cleaning routine and use a drying kit. This will ensure that you get the best from the device for longer. The new Naida V SP is 25% thinner than its predecessor, it is also a much smaller hearing aid. It runs on a size thirteen battery and can be fit with a power slim tube and tip which offers real discretion. It can also be fitted with a standard thick tube and mould configuration. The power slim tube has been re-designed and it now sits lower on the top of the ear and hugs the face in a better way. The power slim tube can be fitted with either an acrylic or a silicone custom tip. The power output on the new SP has been increased and it now matches the power output on the older Naida Quest UP. 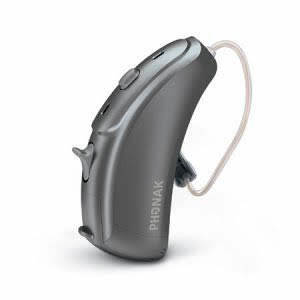 Which simply means that more people with severe to profound hearing loss can now avail of a much more discreet option. The new Naida V UP is again thinner and smaller than its predecessor with a new form factor. The power output on the hearing aid has been increased giving it even more performance for even the most profound hearing loss. It is powered by a 675 battery and can also be fitted with a power slim tube and custom tip. This is definitely the smallest 675 traditional type hearing aid solution for profound hearing loss I have ever seen. It will give people with profound hearing loss a more discreet solution. If you have any questions about the Phonak Naida range or you would like to experience the difference, call us on 0800 1 69 68 62 or book your appointment online now.